The trace metal program at VIMS addresses diverse aspects of inorganic biogeochemistry in the marine environment. 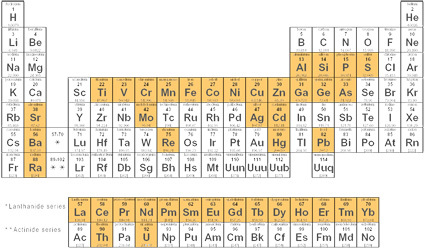 The periodic table at right shows some of the elements we study. For more information, see the links on the sidebar at left.